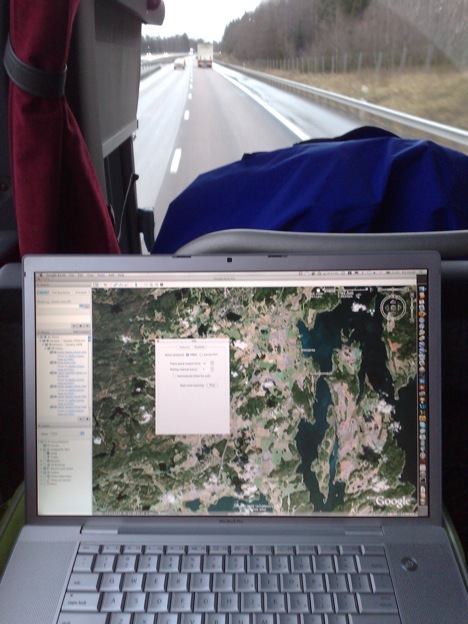 I’m in a bus on the way to the airport (again), but in Sweden that means I can whip out my laptop and get 7.2 mbps wireless connectivity via an HSDPA modem (my service provider is Tre). I thought I might spend the time productively by trying Symarctic’s ExtGPS (beta), a free S60 application that purports to turn my Nokia N95 into a Bluetooth-enabled GPS device usable by Google Earth Plus or Pro to show my location live. That’s strange. I just tested this with my Nokia N800 running Maemo Mapper and my Nokia 6110 Navigator. 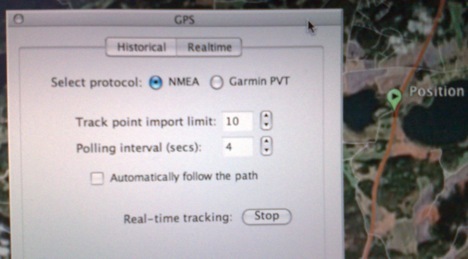 Internet over Bluetooth and GPS over Bluetooth and ExtGPS worked at the same time without any problems. Now it would be interesting to find out whether the N95 is the problem or if it is the Mac’s fault! Or mine:-) I’d be interested to know if anyone succeeds. I have got it working with HSDPA from the N95 and the GPS from the N95 all over bluetooth… Actually using it now..
AFAIK, they still offer free personal use accounts. Hi, i’ve been trying to do exactly this with no success. I have a Macbook, an N95 8gb, and have just bought the Google Earth Plus subscription. I’ve done everything in the tutorial that the author of the extgps app says but it seems that i cannot make the N95 connect to the mac vía bluetooth. I’ve tried a lot, pairing, unparing, deleting and starting all over again hundred of times but without success. I got once a bluetooth connection between my n95 and my laptop but google earth wont show me anything. After that, i couldnt make them connect anymore. Any clues?